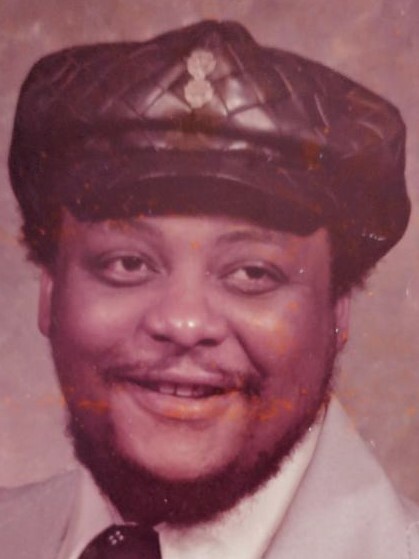 Obituary for James Henry Shippy | Genesis Funeral Services & Chapel Inc.
Gaffney - Deacon James Henry "Big Dogg" Shippy, age 69, of 117 Oakview Drive Gaffney, SC. peacefully transitioned Monday, December 3, 2018.
. He was the son of the Henry Shippy and Maudie Mae Shippy. He leaves to cherish fond memories, his wife; Evelyn Mae Shippy of the home. Four daughters; Tira Shippy-Dixon (Ernest), Petra Shippy both of Gaffney, SC., Kimberly Brown, Kierre Tate both of Spartanburg, SC. Two sons; Rev. H.D. Tate (Sharise), Tony Tate (Michanna) both of Gaffney, SC. One reared in the home; Renee Littlejohn. Ten sisters; Deloris Bonner, Janice Rainey, Thomasine Littlejohn, Lisa Shippy, Keisa Ellis (Terry), Jacqueline Shippy, Charisma Shippy, Sheenan Ratchford all of Gaffney, SC., Linda Hines (Frankie), Denise Foster (Terry) of Spartanburg, SC. Four brothers; Rev. Charles Shippy (Mary), Michael Shippy (Althea) both of Gaffney, SC., Elder Victor Shippy (Brenda) of Cowpens, SC., Jeffrey Shippy (T’Shekia) of Spartanburg, SC. Three aunts; Mable Marks of Gaffney, SC., Toby Smith of Baltimore, Maryland, Mary L. Long of Spartanburg, SC. Three uncles; Leroy Smith, Dean Smith both of Gaffney, SC., Curtis Smith of Baltimore, Maryland. Adopted son and daughters; Jackie Studyvance, O’Kesha Proctor, Lamonda McDowell, Laquandra Foster. Ten grandchildren, seven great-grandchildren and a host of nieces, nephews, relatives and friends. Funeral service will be 2:00 pm Friday, December 7, 2018 at The Mt. Sinai Baptist Church. The body will lie-in-state at 1:00 pm. Interment will follow at Shady Grove Baptist Church Cemetery.